ANNOUNCING: How Well Does Your Thai Girl Speak English? How Well Does Your Thai Girl Speak English? There is actually some debate about this in Thailand. Thais are the ones who get the jobs there. The question really should be: Do Thais have a competent grasp of the English language? The reason this question is asked is because Thais take English throughout their academic lives. Each school has English teachers and the kids take English daily. English with any semblance of comprehension. Once you’re in the “real world” of Thailand you’ll notice very few Thais will speak to you in English. You’re left to wonder: Why is that so considering the extensive amount of schooling they have in the subject? There seem to be any number of answers to that question. CAN Your Thai Girl Speak English? The first answer I can think of is that they do indeed speak English but they are too shy to show it. The Thai culture promotes saving face and that means they will be scared to do something if they think they won’t do it well. To do something poorly is to lose “face”. So in reality many can speak English but they are loathe to try it. With a little cajoling you can sometimes bring them out of their shell. When I ‘m shopping, sometimes I like to encourage the clerk helping me to speak English. I’ll turn to them and say, “I know you take English in school. Why don’t you try to speak it with me?” Inevitably they do reply in English! How Much Practice Do They Get? The second reason the Thais don’t speak English well, despite all their schooling in it, is they don’t get much practice. By practice I mean the opportunity to speak it regularly in normal conversation. conversations the fact still holds they aren’t getting much practice. at a slower rate than someone who is immersed in the language. hey’ll tell you living amongst the actual speakers of that language drastically improves your learning curve. The Thais Need More Practice To Improve Their English! That’s the experience Thais dearly need to improve their English language skills. Otherwise you can understand it’s very hard for them to keep their interest level up. Imagine taking football lessons every day and never getting the chance to play a competitive game. Unless you can test your skills regularly it’s hard to stay motivated. Can Anyone Learn To Speak English? Finally, I think learning a foreign language takes a copious amount of aptitude. Only a certain percentage of people in the general population can learn a second language with relative ease. The rest of us have to struggle to achieve any competency. Thais are no different from anyone else in this regard. If learning a second language were easy many more people would be speaking multiple tongues. The truth is; learning a second language is one of the most difficult academic pursuits you can take on. Even if you have strong motivation to succeed it’s going to be a bumpy road. but the majority of Thais have very poor English skills. Unfortunately that’s unlikely to change in the very near future. But don’t let that stop you from having a good time in the Land of Smiles. There are always ways to communicate even if you don’t speak the same language. On the other hand, you could always learn Thai! Marc Lewis is a 50-year-old Canadian who has traveled the world extensively both on his own and leading student tours. He’s worked as a high school teacher, business executive and photojournalist. Two years ago Marc met a lovely Thai girl online and moved to Thailand. 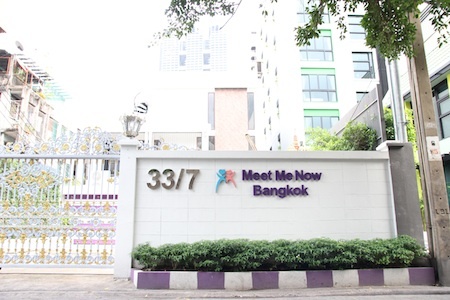 He currently makes his residence in Bangkok. 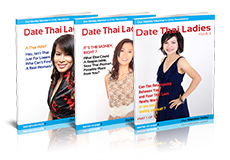 « Do Thai Girls Speak English In Thailand?